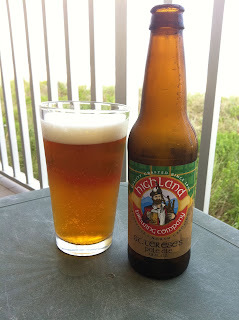 During our recent trip to the Outer Banks of North Carolina, we took the opportunity to try some new beers, and to revisit some old favorites. One of the beers we revisited this trip was Highland Brewing St. Terese's Pale Ale. 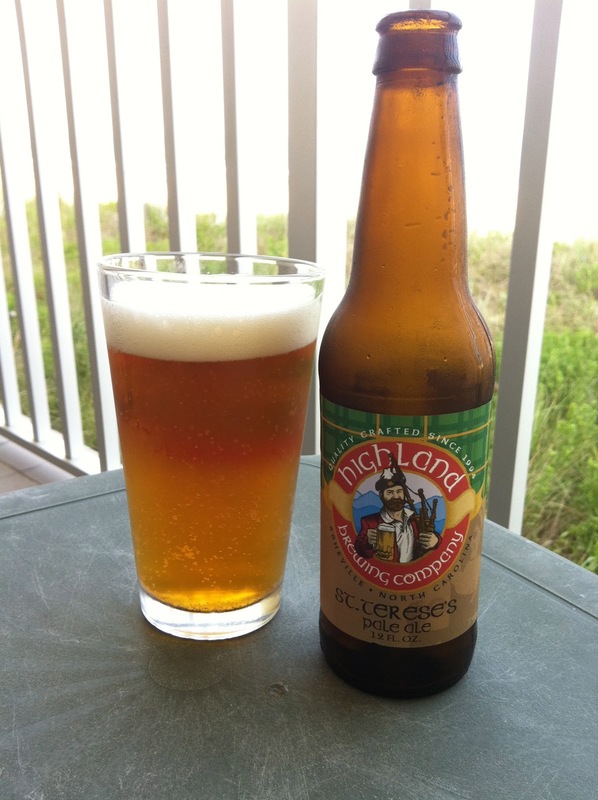 Highland's interpretation of the American Pale Ale is mild in comparison to some other popular pale ales, but that doesn't mean it's lacking in flavor or enjoyability. I seek out Highland Brewing beers every time we visit North Carolina, and St. Terese's Pale Ale is one of my favorites. At just 5.2% ABV it's not technically a session beer, but still on the low range for American Pale Ales. It's a perfect accompaniment to a sunny afternoon spent sitting on the deck overlooking the ocean waves. and its on 8:10 a.m. ! ooops on should be "only"